Deal had to overcome another double blow in their current run of bad luck where injuries are concerned to earn a deserved point at Park View Road. 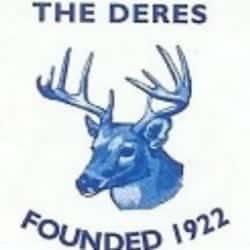 The Hoops lost two of their best players so far this season, midfielder Joe Reeves and centre-half Grant Bagley, inside the opening half hour of Saturday’s game but still created by far the more scoring opportunities against a Deres side who were unbeaten in their previous five home matches. Reeves had to go off after just two minutes with a damaged knee while Bagley limped off with a foot injury sustained in the pre-match warm-up, and the latter incident certainly proved a factor in the Deres’ opening 29th-minute goal. When Josh Froggatt took on “Baggers” one-on-one just outside the Hoops’ area the Deal defender was unable to push off on his injured foot and the Deres’ midfielder raced past him before blasting home a fierce shot. Bagley limped off straight afterwards and the Hoops had to re-shuffle their pack again after the early loss of Reeves, whose pace would surely have troubled the Deres’ defence. As it was, the Hoops still created nearly all of the meaningful first-half chances but their only reward was a 28th-minute header in off the post from Joe Anderson following Steve O’Brien’s free-kick. But Froggatt, the Deres’biggest attacking threat, then equalised 60 seconds later and he also set up their only other decent chance of the half for Michael Fahm, who saw his close-range effort well blocked byHoops’ keeper James Tonkin. At the other end James Paxman, who enjoyed an excellent game after being pushed into midfield in the Hoops’ re-shuffle, burst past three players before seeing his shot cleared off the Deres’ line, and Deal continued to look the more likely side to score in the opening 20 minutes of the second half. Substitute Carl Munday dragged his shot across the face of goal when it looked easier to score following good work by Connor Coyne, who soon afterwards was denied by the legs of Deres’ keeper Samuel l’Anson, and the home side then broke straight up the other end for Froggatt to fire home his second goal with another clinical finish. In view of their injury woes and series of wasted opportunities the Hoops’ heads could easily have dropped at this point, but instead they kept plugging away and gained the point their efforts merited when Munday made up for his earlier miss by heading home a rebound from l’Anson, who had produced a terrific initial save to keep out a 20-yard Paxman “piledriver”. Deal: Tonkin, Paxman, Hark, Bigginton, Scott, Bagley (Alexander 30), Reeves (Munday 2), Anderson, Coyne, Adams, O’Brien.